Salendra and Shayrin Singh with their children Meenal, 20, and and Kunal, 18. Cleaning has become a real family affair for Salendra and Shayrin Singh. The husband and wife team have been joined by their son and daughter, who are now very much part of their successful CrestClean business. Having Kunal, 18, and Meenal, 20, on board has given Salendra the confidence to look to the future – and he has big plans. “Now my children are with me we will concentrate on growing the business. We will definitely get larger and later we will be able to employ some extra people as well,” he says. Since joining CrestClean, Salendra and Shayrin have already more than doubled the size of their business. Their commitment to their customers and the family’s work ethic has impressed CrestClean’s Auckland West Regional Manager Caroline Wedding. “They have a great attitude to cleaning and are just so professional in everything they do,” she says. Customers love the quality of their work, says Caroline. “They maintain very high standards and are meticulous in their attention to detail – nothing gets missed. Caroline says Salendra and Shayrin’s decision to involve their children in their franchise was a smart move. “The children are learning good work ethics and taking a real pride in what they do. 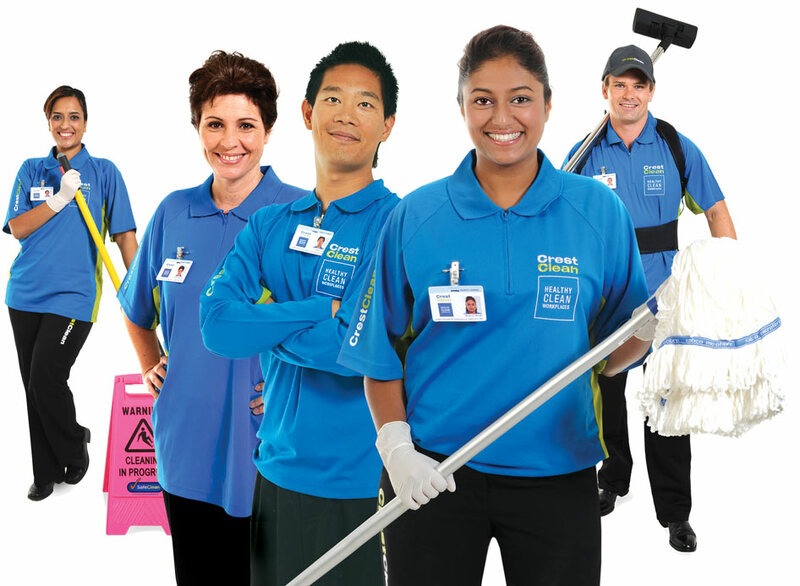 “They are getting fully trained and will end up with a recognised qualification in commercial cleaning from Master Cleaners Training Institute. Salendra and Shayrin are originally from Fiji and relocated to New Zealand for a better quality of life. After settling in Auckland Salendra worked as a truck driver – but the long hours meant he did not see much of his family. “I would be out the door by 6am and not back until 8pm and quite often I would be working weekends as well. It was pretty tough,” he says. A close friend, who has a CrestClean franchise, encouraged Salendra to consider buying a cleaning franchise. “I said to my wife it would be good if we could work together and have something of our own,” he says. Since joining CrestClean, Salendra hasn’t looked back and is proud of being a business owner. He says the training and support provided by CrestClean has given him the confidence to invest in his business. He’s proud of the certificates awarded by Master Cleaners Training Institute that hang on the wall of the couple’s Auckland home. “When you start you learn so much about the job and they take you through it step by step.